The European Commission has raised concerns with two elements of UK legislation regarding tax treatments of investments in EU-member states, deciding that the rules are against EU Single Market principles. On February 16th the European Commission (EC) formally requested that the UK address two items of tax legislation, as they are considered to be discriminatory and against the principles of the EU Single Market. According to the EC, the UK’s rules regarding the transfer of assets abroad and the attribution of gains to non-UK residents, need to be amended, as both rules lead to higher rates of tax on investments outside of the UK, compared to domestic investments. Under current transfer of assets abroad rules, if a UK resident transfers assets to a company in any EU-member state outside of the UK, they will be subject to a tax liability on a portion of the incomes earned by the company. However, if the same individual were to invest an identical set of assets within the UK, only the company itself would be subject to tax liabilities. The EC objects to the perceived discrepancies in tax treatment between domestic and EU investment. 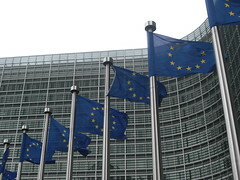 The EC also addressed the attribution gains to members of non-UK resident companies. UK law specifies that if a UK resident company holds more than 10 percent of the shares in an EU-member state company, and the foreign company realizes capital gains from an asset sale, then the UK firm will be liable for corporate taxes on a portion of the profits. However, if a UK company were to make the same investment in another UK company, the same profits would only be taxable by the latter entity. According to the EC, both rules violate the principles of the EU’s Single Market, specifically in relation to freedom of establishment and the free movement of capital. The EC resolution concluded that the rules are more than is necessary for the UK to prevent tax evasion. Failure by the UK to make adequate efforts to address the two issues could result in the Commission referring to the UK to the European Court of Justice.